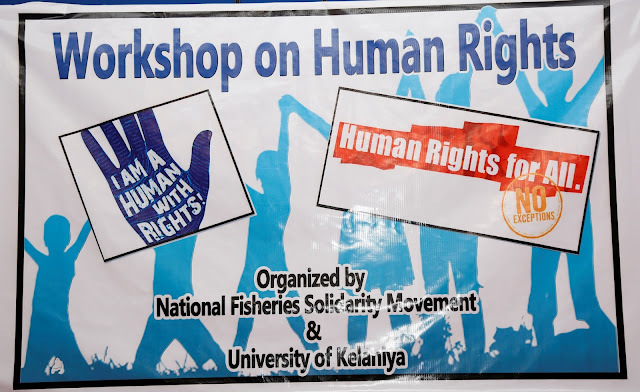 National Fisheries Solidarity Movement organized a one-day workshop on human rights at the main auditorium of the Faculty of Social Sciences in the University of Kelaniya. 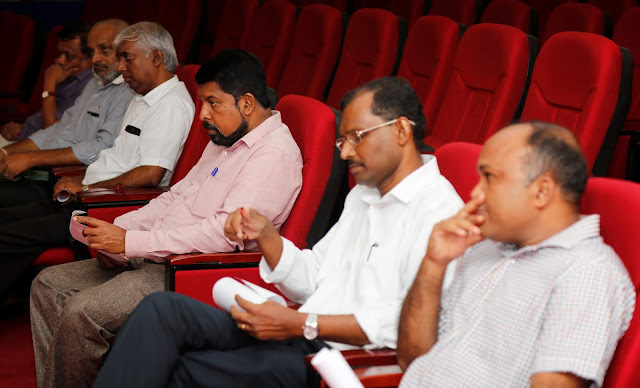 The lawyer, Mr. Sampath Pushpakumara engaged with the workshop as the resource person. Prof. A.H.M.H. 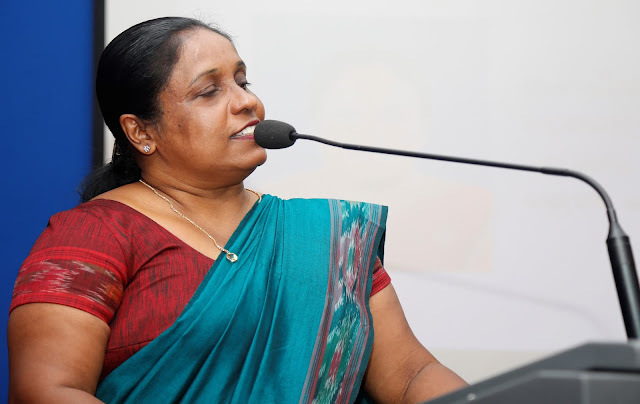 Abayarathna, Dean of the Social Science faculty, Mrs M.Y.N. 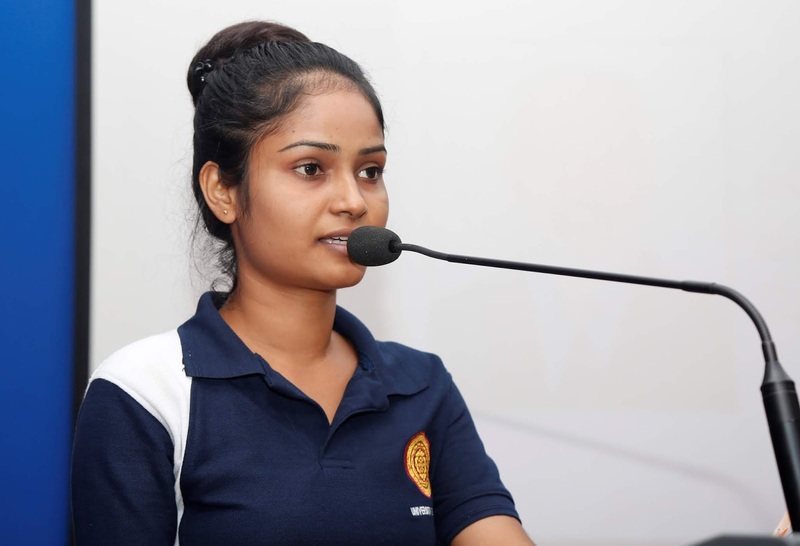 Mendis Head and Senior Lecturer of the Political Science department, Dr.Sampath Rajapaksha, Dr.Osantha N.Thalpawila, U.L.Hemasha Dilshani Perera represented the University. Mr. Herman Kumara, National Convener of National Solidarity Movement, and Mr. Nuwan Pradeep participated representing National Fisheries Solidarity Movement in the workshop as well as fifty undergraduates of University of Kelaniya participated this one-day workshop. The purpose of organizing this workshop is to educated the undergraduates about the situation of human right and related mechanisms of Human Right in country. 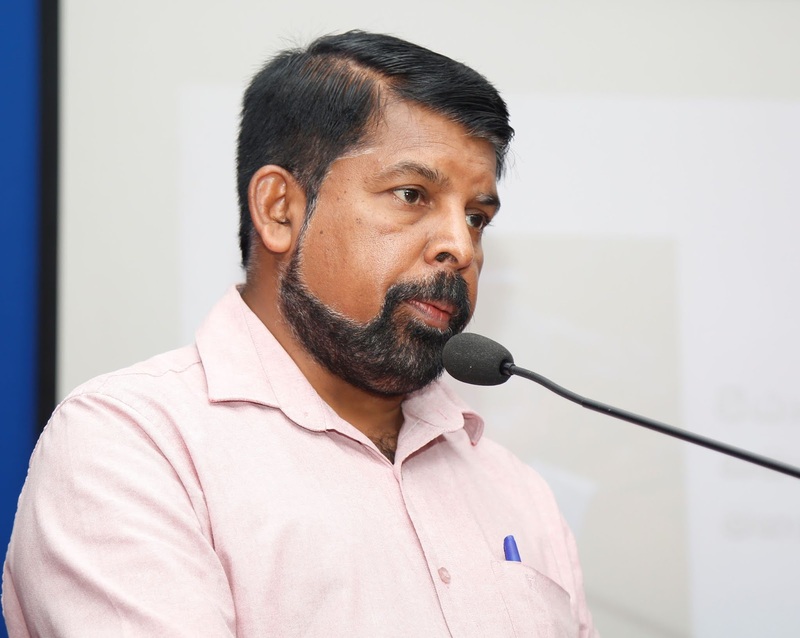 And It concerned, the historical background of human Rights and its expansion up to now, (UPR Process) Integrational mechanism to claim the human rights in the workshop.